Cynthia Gauthier started at a young age working on a farm close to home. Her first experience with anything propelled by an engine came in the form of a tractor on the farm. Her parents were not involved in any type of Motorsports, but her dad would frequently bring her to different dirt tracks to watch the races. Her Dad is a mechanic which interested Cynthia from a young age, so she spent hours with him in the garage learning about all things mechanical. This gave Gauthier a passion for anything and everything with an engine. As a teenager Cynthia worked hard and saved up enough money to buy her first dirt bike at the age of 18. Before long she was racing on a regular basis. To be able to afford her racing on the weekends, she had to work a full time job while attending school at night. 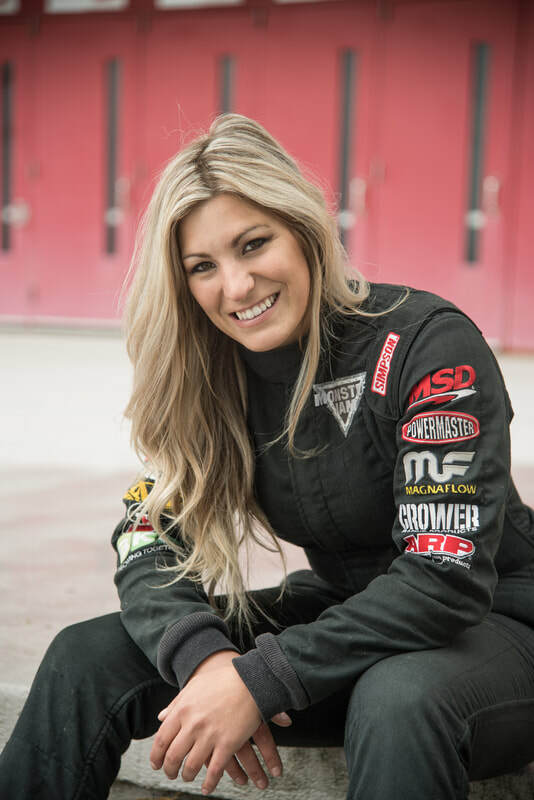 She graduated from College with a degree in accounting but her passion for racing was undeniable! After 3 years of racing in the amateur class, she was able to move up to race two years in the Pro Women’s Canadian National Series. However, her final year yielded several injuries. After she had a full reconstructive surgery of her knee and shoulder, she had to make a difficult choice, to stop doing what she loved the most which was racing her dirt bike. It was not long before she started racing short course Buggies where she improved greatly during her first season. Her roots run deep in motocross so the move to off road racing was a very natural transition for her. She had the chance to be part of the racing team that went to the Monster Jam World Finals℠ in 2013 and 2014. After witnessing the entire event, She knew she was hooked on Monster Jam trucks. Cynthia shared her excitement with the management at Monster Jam, and was given the opportunity to test as a driver. The test went extremely well, and she got to do the Maple leaf tour with Monster Jam in 2015. After so much hard work and sacrifices, she finally had a big opportunity. In 2016, She started competing in the new Triple Threat Series Tour, where not only do you race the Monster Truck but you also race the ATV and the Speedster (UTV). This tour is really challenging and demanding physically and mentally! 1. She got certificate by Lincoln Electric in 2016 for Welding Arc. 2. 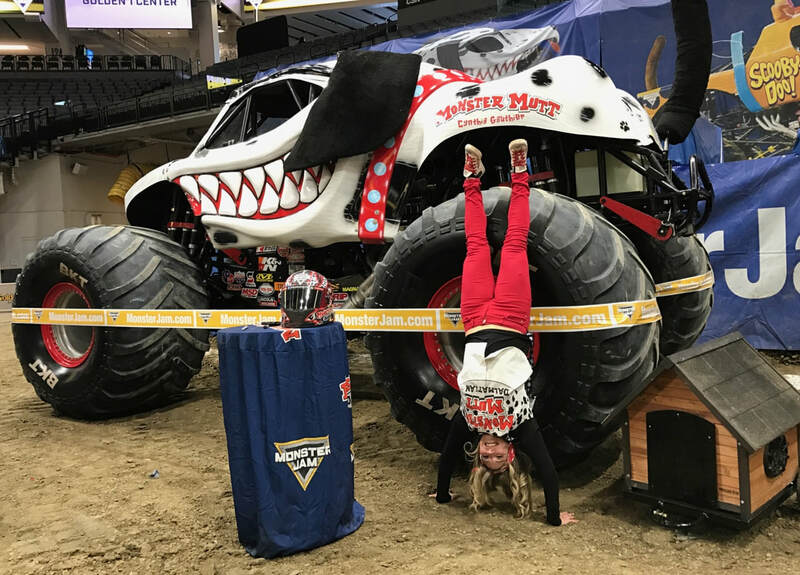 She enjoys driving heavy equipment and is part of the Monster Jam Dirt Crew, where she helps building the tracks during the event. 3. Cynthia is an avid CrossFit Gym Athlete which is competitive and helps her to stay in good shape. Representing the women in a male dominated sport is a good opportunity for her to show that females can be strong, powerful and beautiful in their own way. “ I want to be a good role model for all the littles girls who look up to me”. “ I want to show them that with hard work and dedication that you can reach your goals as long as you never give up on our dreams. Driving the Monster Mutt Dalmatian for Monster Jam as been a dream come true for her. She enjoys traveling and meeting all MonsterJam fans all around the world. She wants to be an inspiration to as many people as possible. In 2017 Cynthia started a new venture hosting a French Tv show called Zone VL. The show highlights all types of different power sports in which the hosts get to test drive different machines in the power sports realm. The show is currently doing well in its 4rd season of filming. Follow her on all social media to see all update of our adventures !! !